그동안 headless 브라우저의 유용함을 알린 것은 PhantomJS이다. PhatomJS는 WebKit 기반의 headless 브라우저인데 사용하기 편하고 API로도 이용할 수 있어서 PhatomJS의 등장 이후 브라우저 테스트나 크롤링 등에서 많은 것들이 달라졌다. 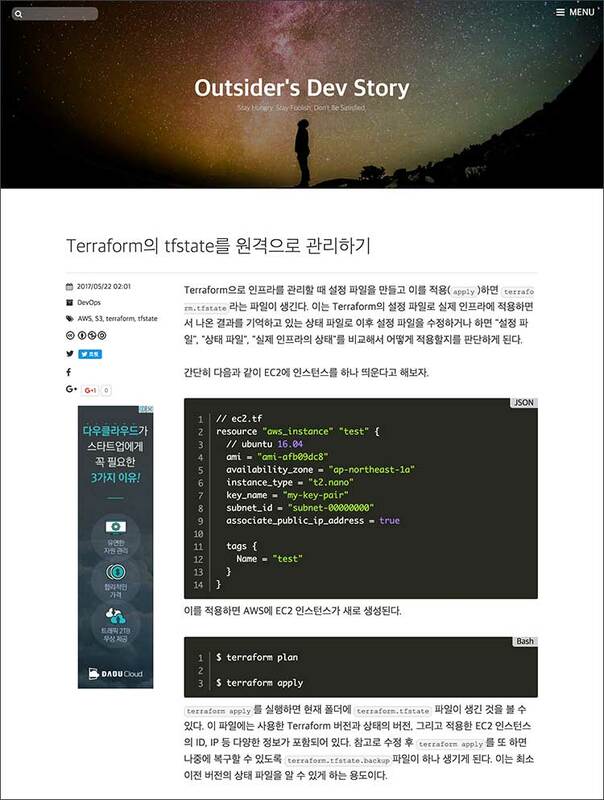 하지만 Chrome이 직접 headless 모드를 추가함으로써 더는 PhantomJS의 의미가 없으므로 메인테이너에서 물러나겠다고 공지가 된 바 있다. 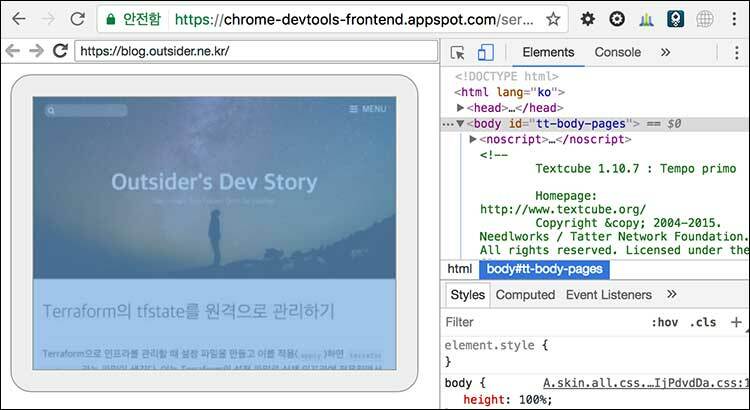 Headless 모드는 Chrome 59부터 지원한다. (Linux, macOS는 59부터이고 Windows는 60부터 지원한다.) 이 글을 쓰는 현재 크롬 Stable의 최신 버전은 58이고 Chrome Canary는 61이다. 그래서 현재는 Headless를 사용하려면 Chrome Canary를 사용해야 한다. 사용방법은 Getting Started with Headless Chrome에 아주 잘 나와 있는데 이를 토대로 내용을 정리한다. 앞으로는 PhantomJS 대신 Headless Chrome을 사용해야 하므로 어떻게 사용하고 어디까지 지원하는지 파악하기 위해서 테스트를 해보았다. headless 모드를 사용한다는 것은 CLI에서 사용하겠다는 의미이므로 macOS에 설치된 크롬(혹은 크롬 Canary)를 사용해야 한다. Bash를 사용한다면 다음과 같이 설치된 크롬에 대한 별칭을 만들어서 CLI에서 사용할 수 있다. $ alias chrome="/Applications/Google\ Chrome.app/Contents/MacOS/Google\ Chrome"
$ alias chrome-canary="/Applications/Google\ Chrome\ Canary.app/Contents/MacOS/Google\ Chrome\ Canary"
아직 크롬은 58 버전이므로 여기서는 chrome-canary를 사용한다. [0528/204228.632373:WARNING:dns_config_service_posix.cc(154)] dns_config has unhandled options! [0528/205117.667628:WARNING:dns_config_service_posix.cc(154)] dns_config has unhandled options! [0528/205127.355566:INFO:headless_shell.cc(464)] Written to file output.pdf. [0528/205558.630395:WARNING:dns_config_service_posix.cc(154)] dns_config has unhandled options! [0528/205607.521082:INFO:headless_shell.cc(464)] Written to file screenshot.png. 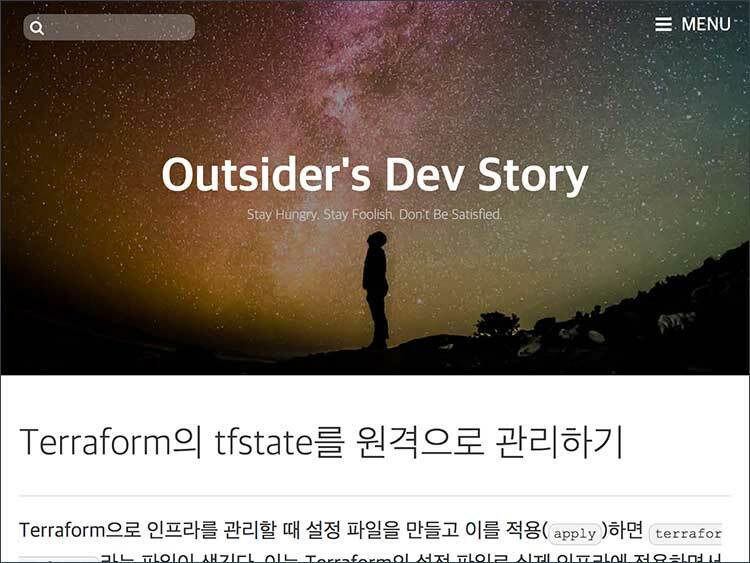 --screenshot 플래그를 지정하면 스크린숏을 저장할 수 있다. 자동으로 screenshot.png에 저장이 되고 다음과 같이 headless로 스크린숏을 지정할 수 있다. [0528/205742.837245:WARNING:dns_config_service_posix.cc(154)] dns_config has unhandled options! [0528/205752.688997:INFO:headless_shell.cc(464)] Written to file screenshot.png. 스크린숏을 찍을 브라우저 윈도의 크기를 지정하려면 --window-size=w,h로 지정하면 된다. 이를 이용하면 웹사이트를 반응형으로 만들 때 원하는 크기의 스크린숏을 종류별로 찍어서 제대로 나오는지 확인할 수 있다. 좀 더 자세한 플래그는 소스 코드에서 확인해 볼 수 있다. 유용해 보이는 옵션으로는 --hide-scrollbars, --proxy-server, --remote-debugging-address, --remote-debugging-socket-fd, --repl, --timeout, --user-agent가 있다. headless Chrome으로 웹사이트를 띄워놓고 원격으로 디버깅할 수 있다. 서버 등에서 headless Chrome으로 뭔가 작업을 할 때 원격 디버깅 포트를 열 면 데스크톱에 설치된 chrome에서 접속해서 디버깅할 수 있다. [0528/211315.749706:WARNING:dns_config_service_posix.cc(154)] dns_config has unhandled options! --remote-debugging-port=9222 플래그로 디버깅 포트를 지정하고 실행해 놓은 상태로 Chrome에서 http://localhost:9222/에 접속하면 다음과 같이 디버깅할 수 있는 목록이 나온다. 디버깅할 사이트를 클릭하면 브라우저에서 디버깅할 때와 같게 Chrome에서 개발자 도구로 디버깅을 할 수 있다. 문서를 보면 Node.js같은 코드로 headless chrome을 조작할 수 있는 방법도 안내하고 있다. 여기서는 Node.js에서 CLI 프로그램을 코드로 실행하거나 Lighthouse의 chrome launcher를 이용하는 방법을 설명하고 있는데 두 방법 모두 OS에 설치된 크롬을 그대로 이용하는 방법이다. 기존에 PhantomJS도 OS에 설치해 놓고 사용하기도 하지만 보통은 프로젝트에 내장해서 미리 OS별로 빌드된 PantomJS를 사용하는 게 더 일반적이라고 생각한다. 이렇게 하는 이유는 OS에 의존적이지 않게 하면서 애플리케이션을 배포해도 설치 및 구동을 자동화할 수 있어야 하기 때문인데 아직 이런 부분의 활용성은 headless chrome이 PhatomJS보다는 부족하다고 생각된다. 해당 부분을 테스트 제대로 해보진 않았는데 상황으로 보면 print용 CSS가 제대로 되지 않아서 그런것으로 보입니다. 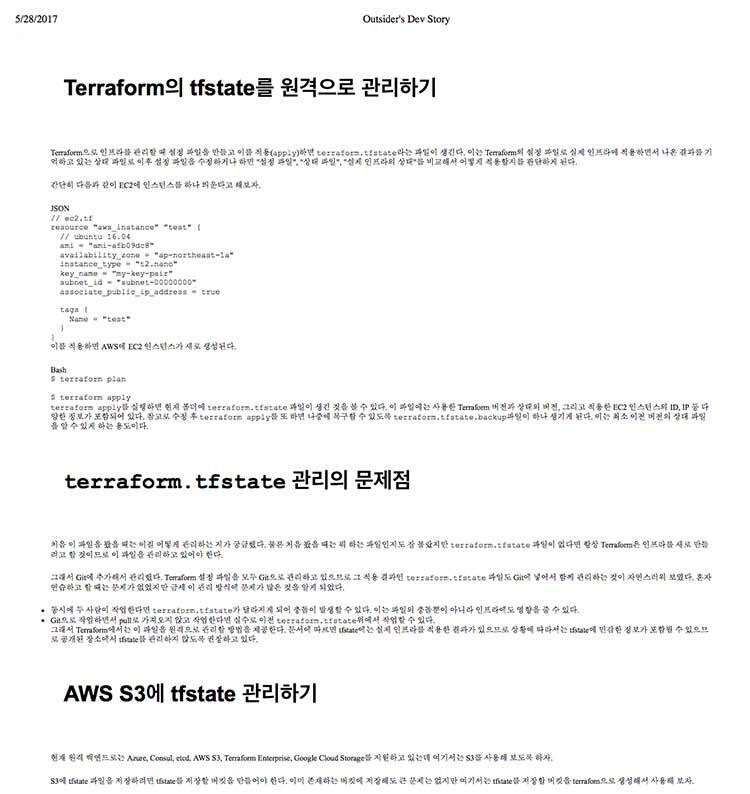 보통 css를 screen으로 설정해서 사용하므로 print용으로는 따로 스타일을 지정해 주어야 합니다 .<link rel="stylesheet" media="print"> 관련해서 찾아보시면 될것 같습니다.